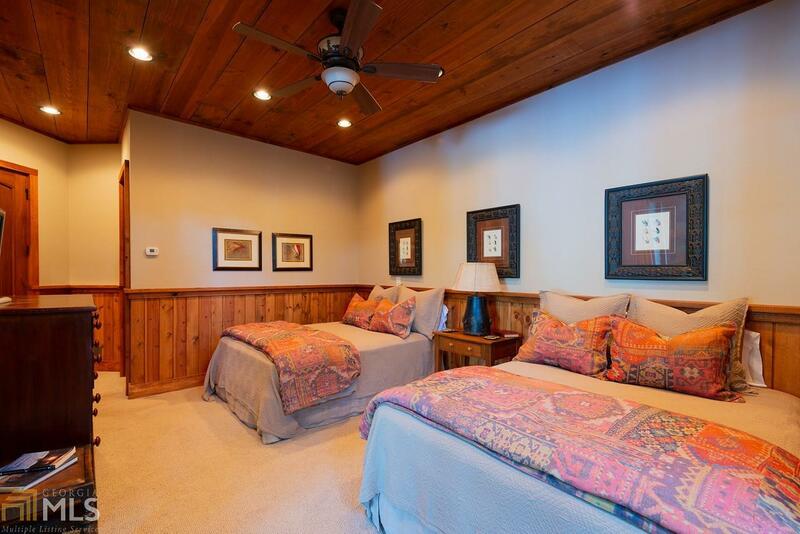 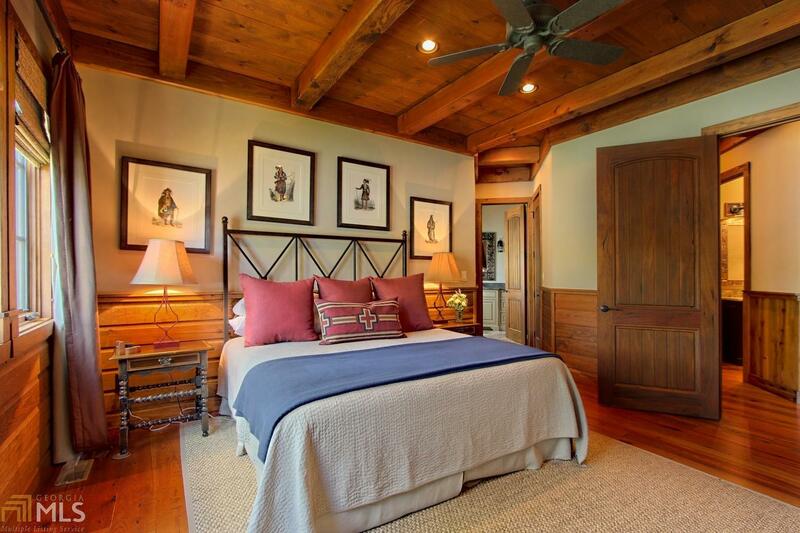 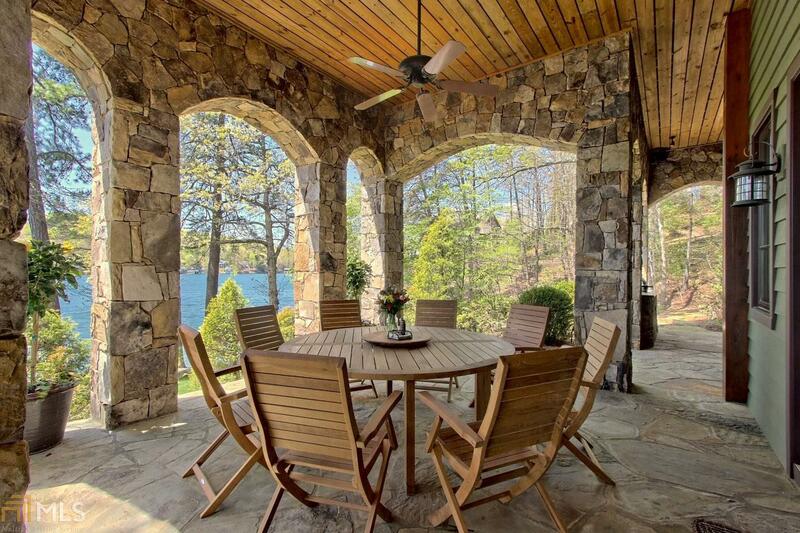 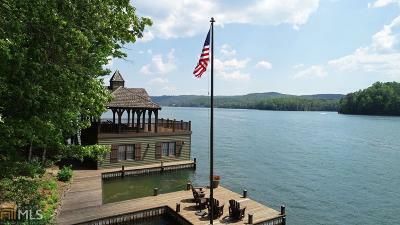 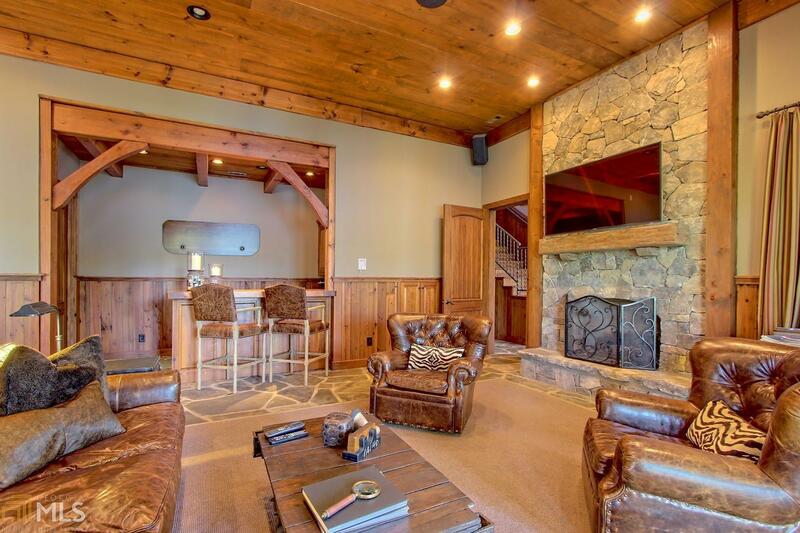 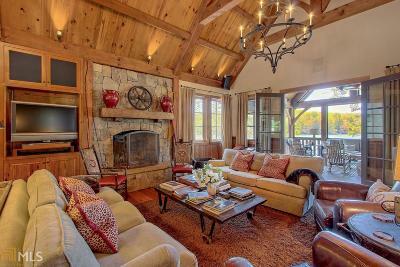 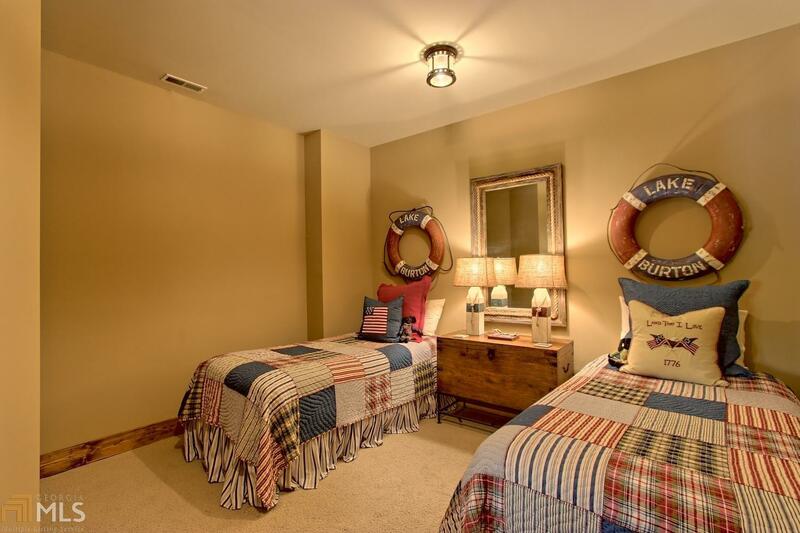 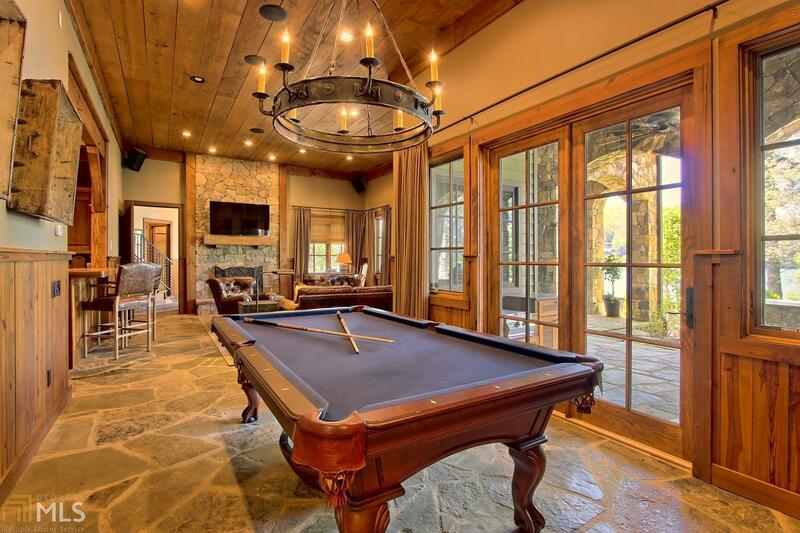 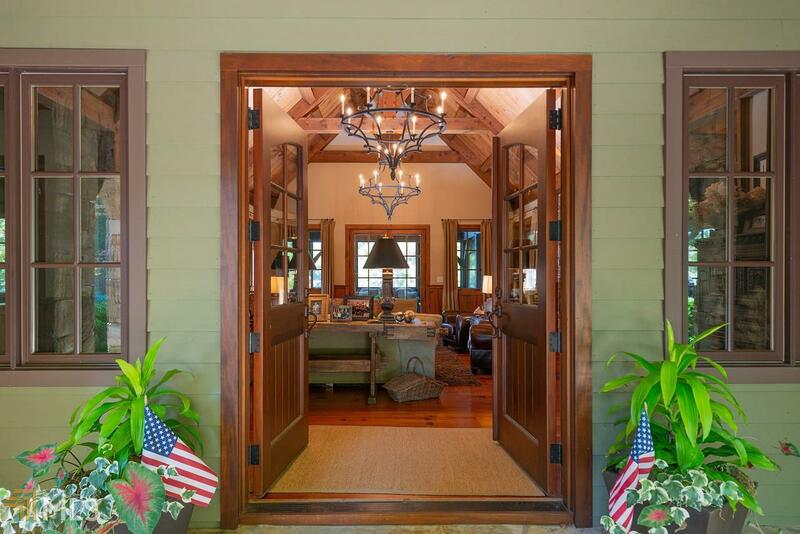 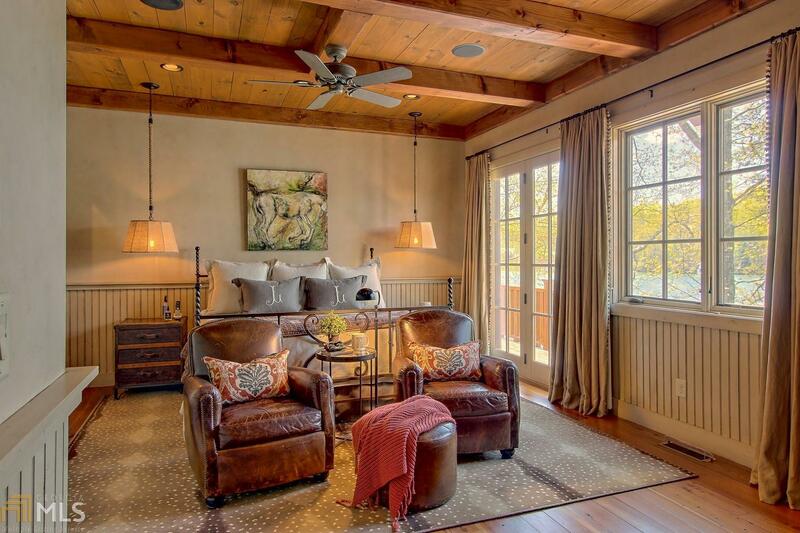 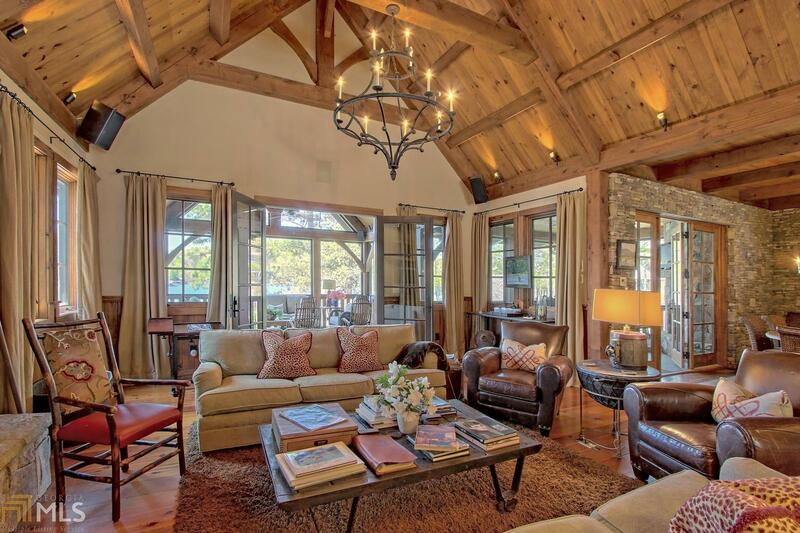 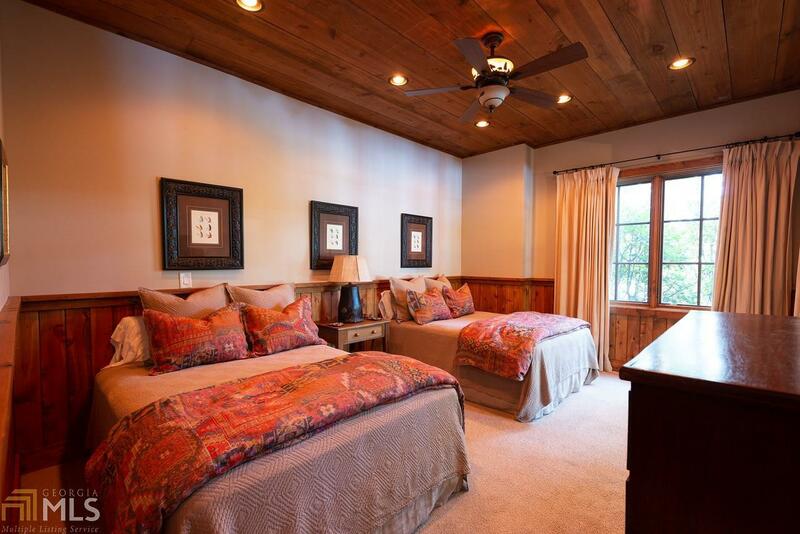 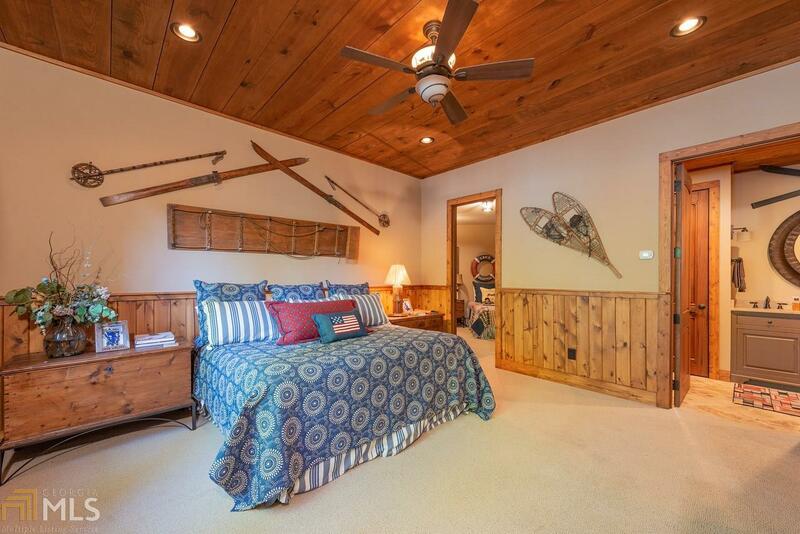 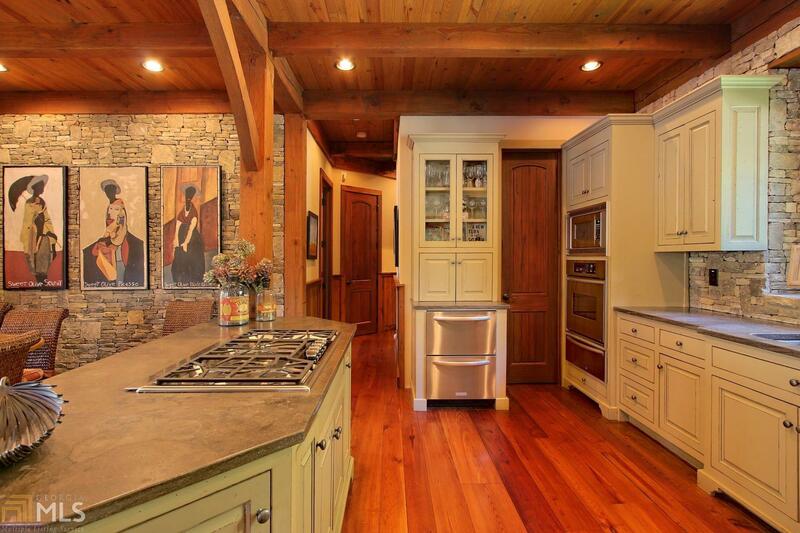 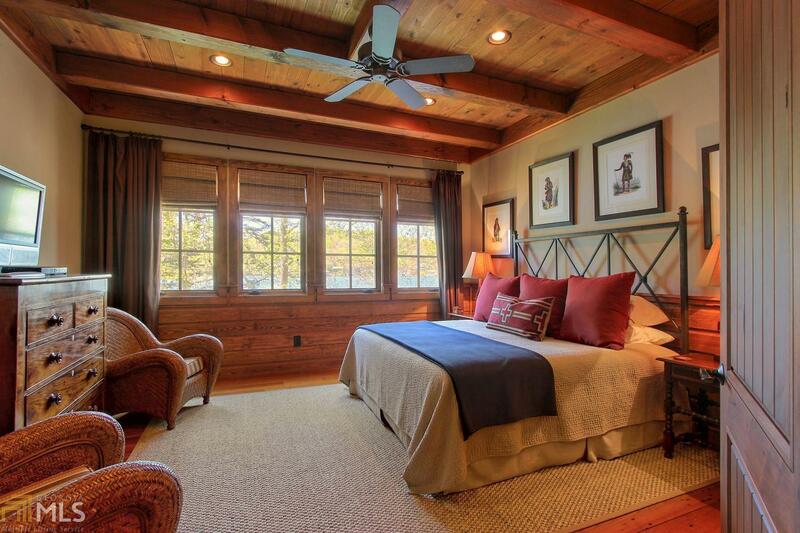 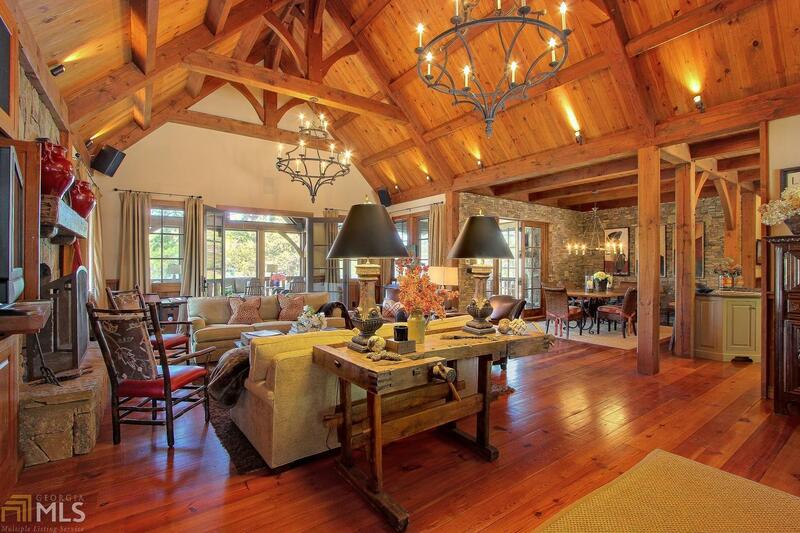 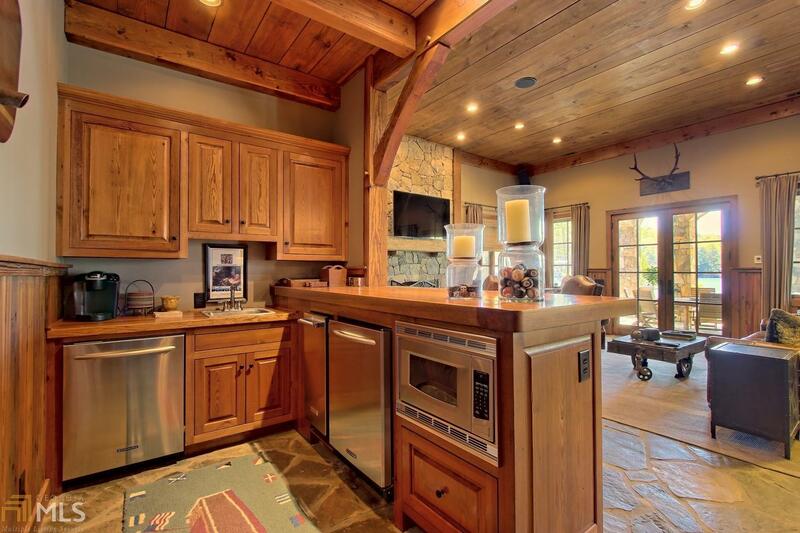 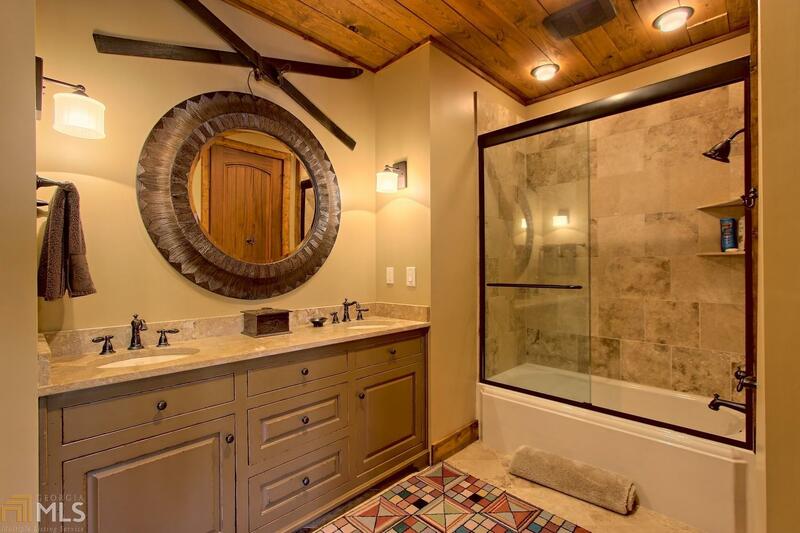 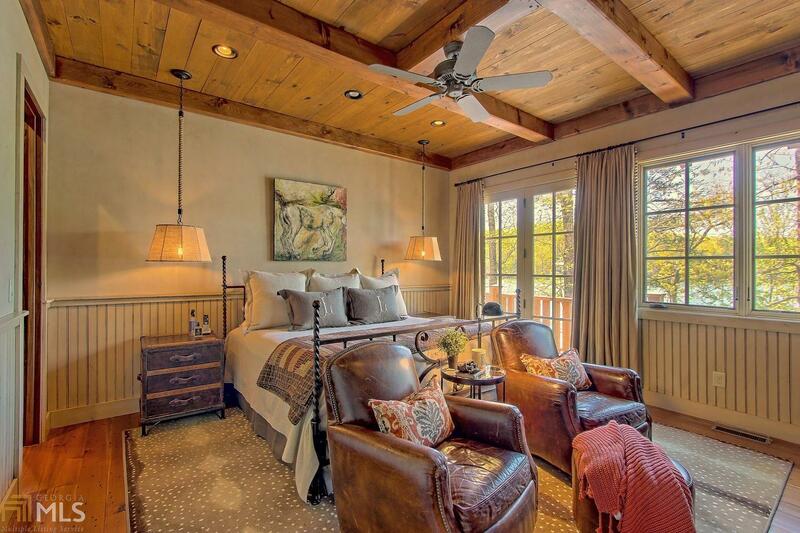 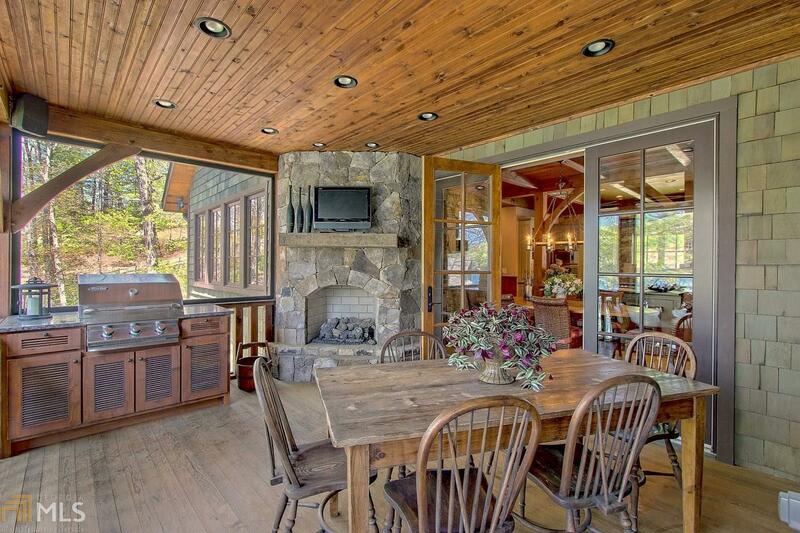 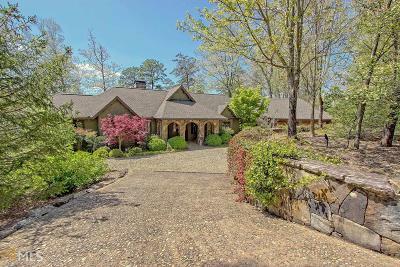 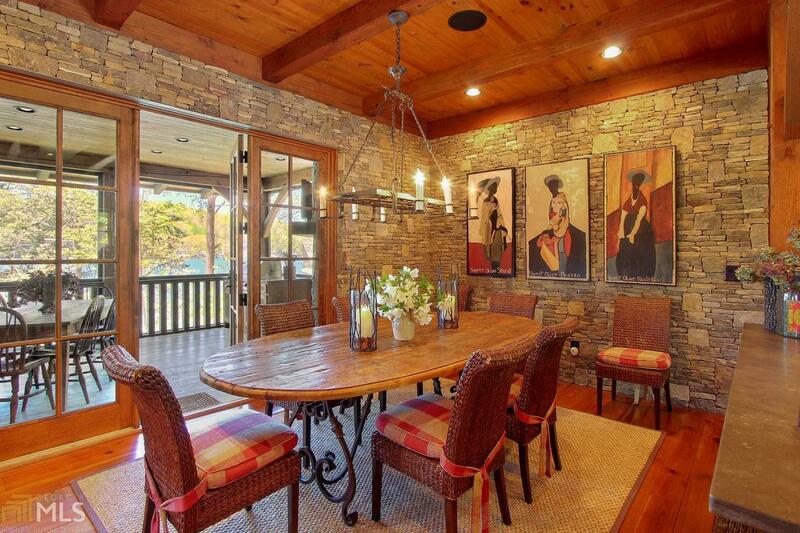 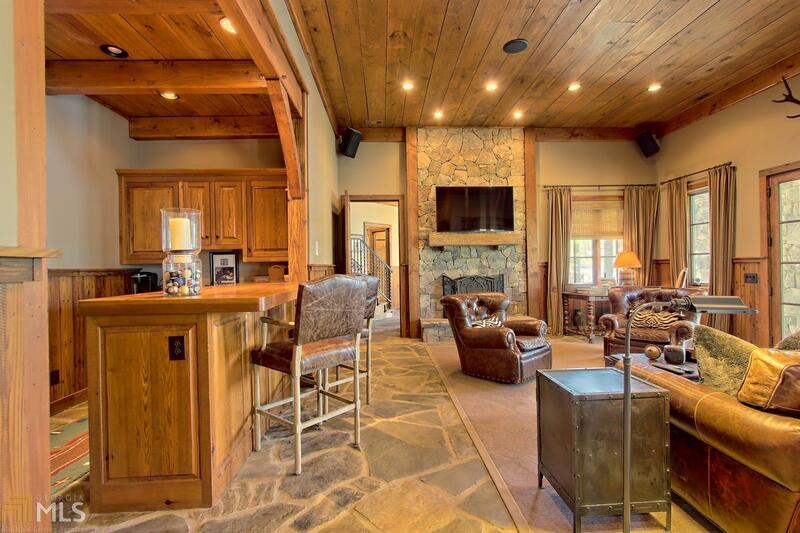 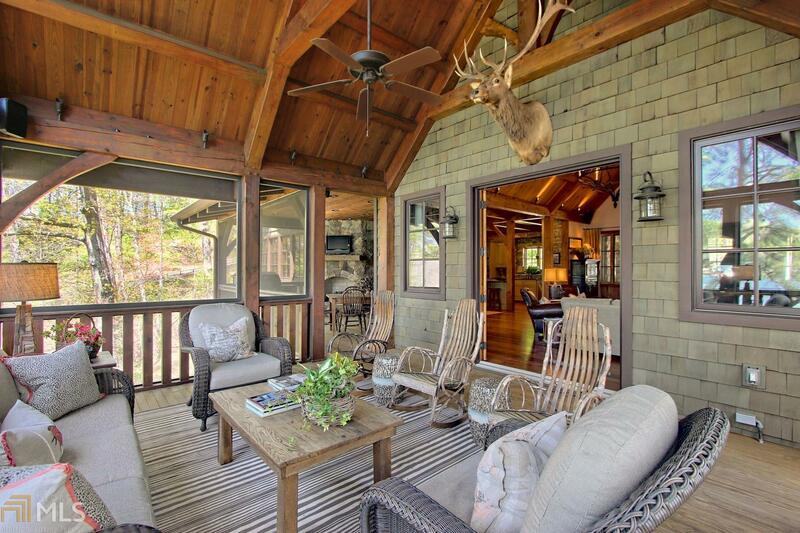 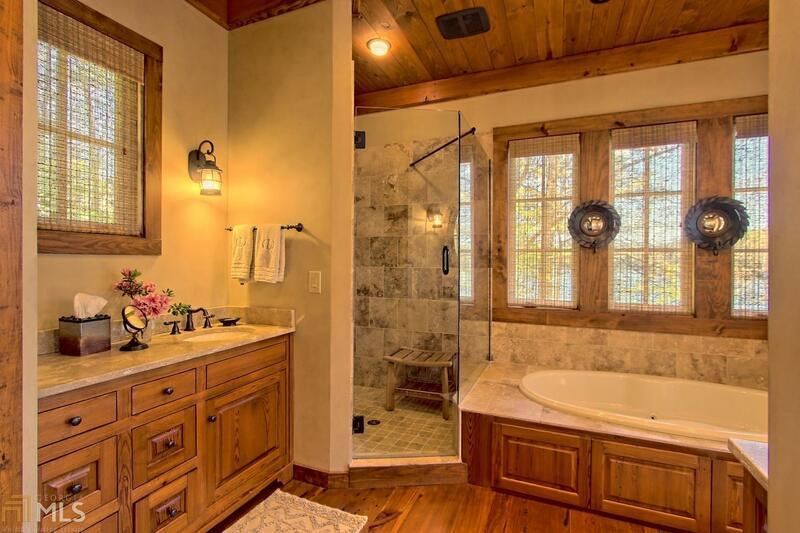 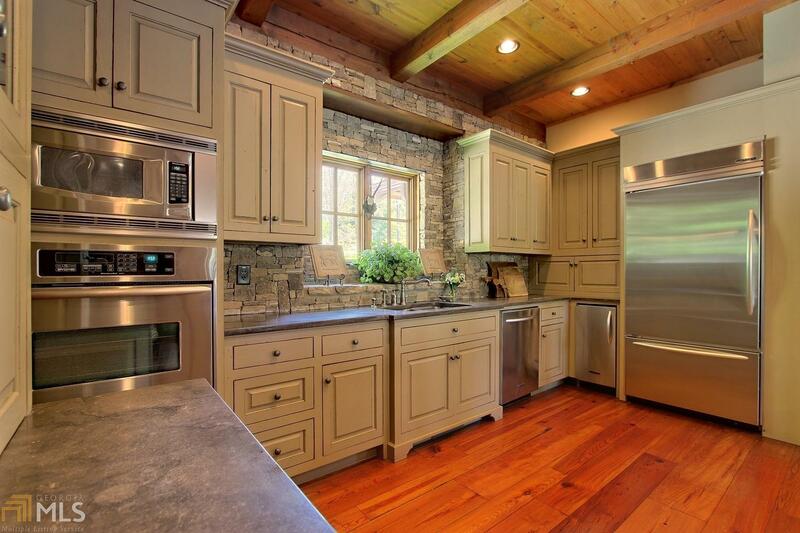 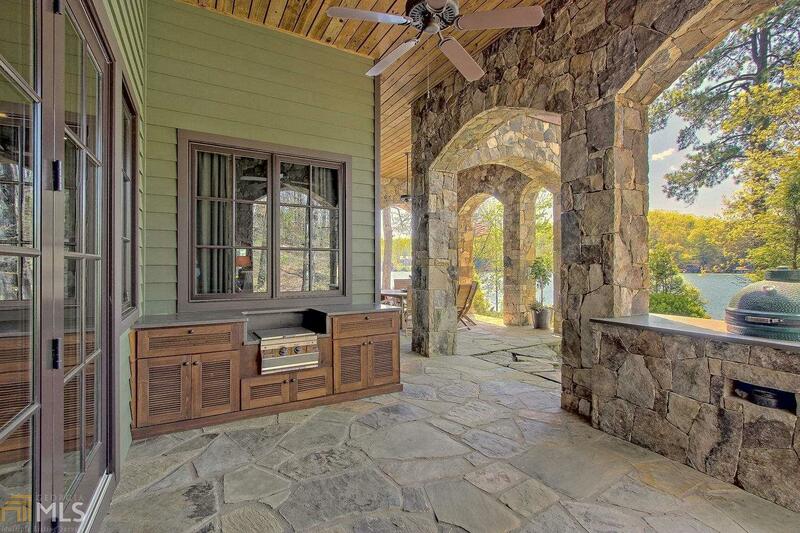 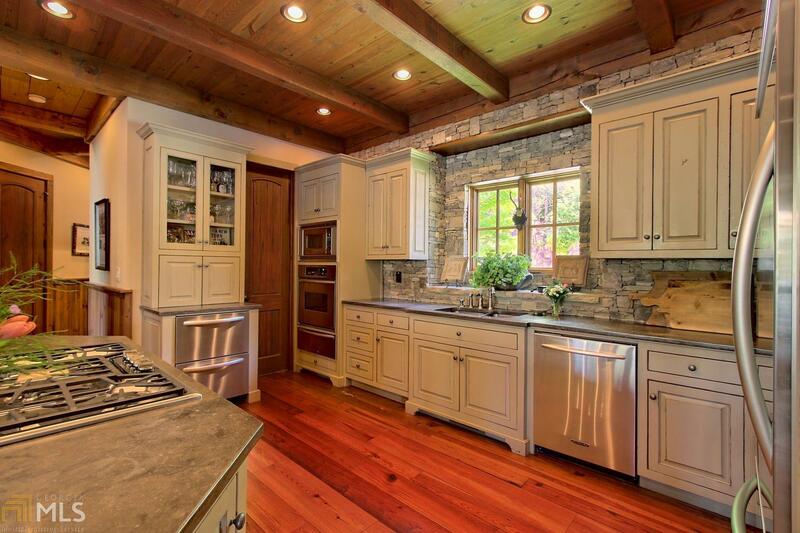 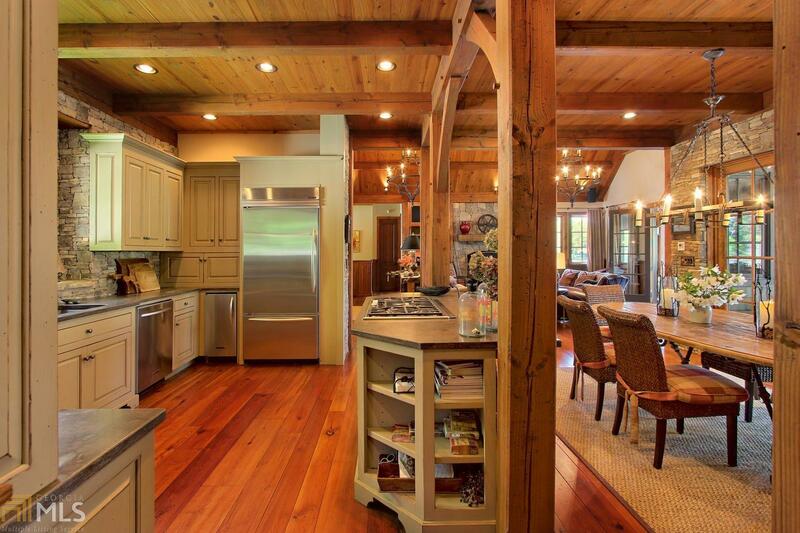 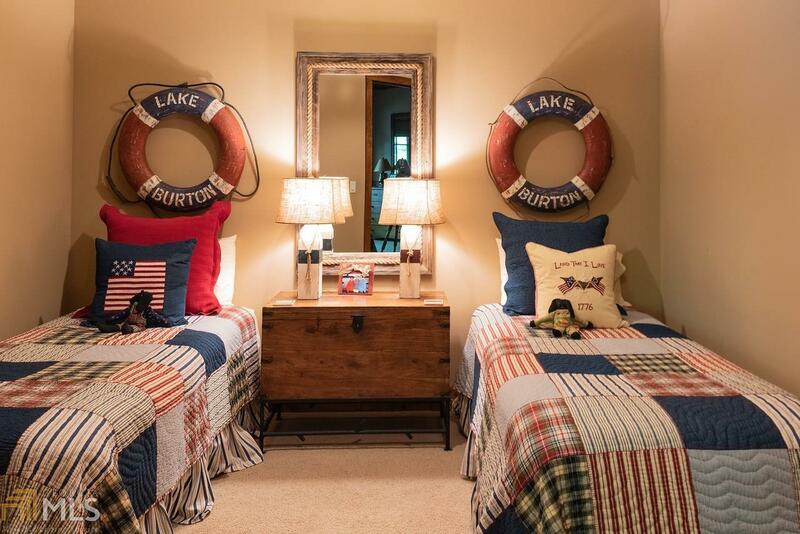 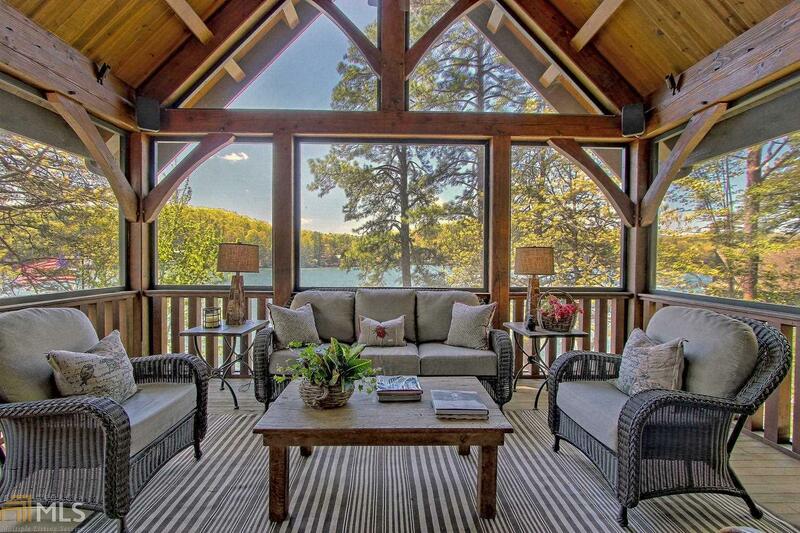 This 4 BD, 4.5 b Lake Burton home rests on a point lot with sweeping lake views. 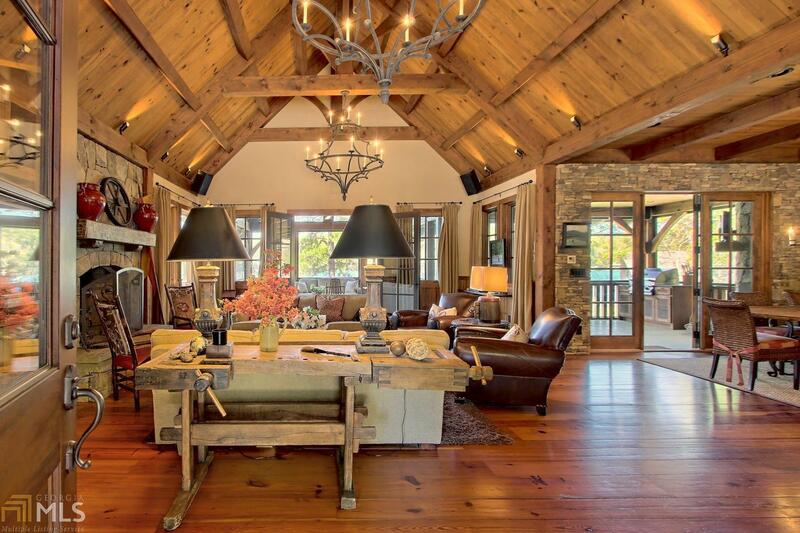 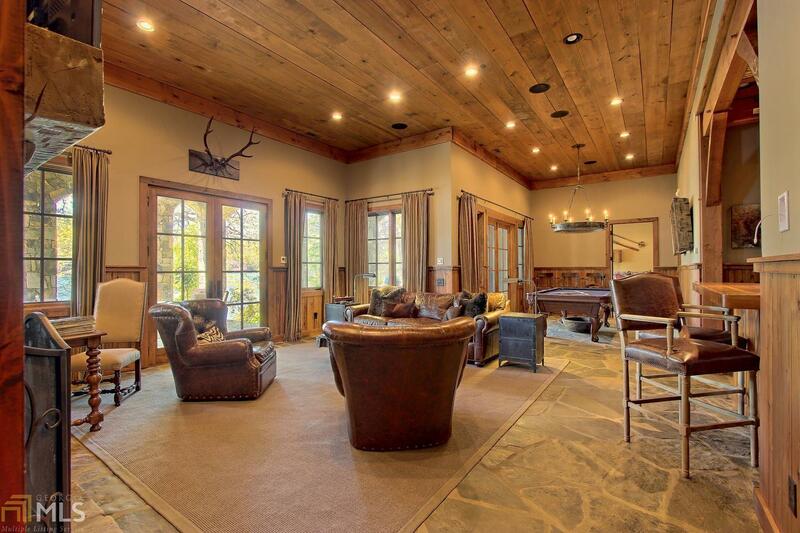 The great room offers a warm and welcoming ambiance with its stone fireplace, heart pine flooring and true timber frame construction, featuring Douglas fir posts and beams surrounded by pine paneled ceilings. 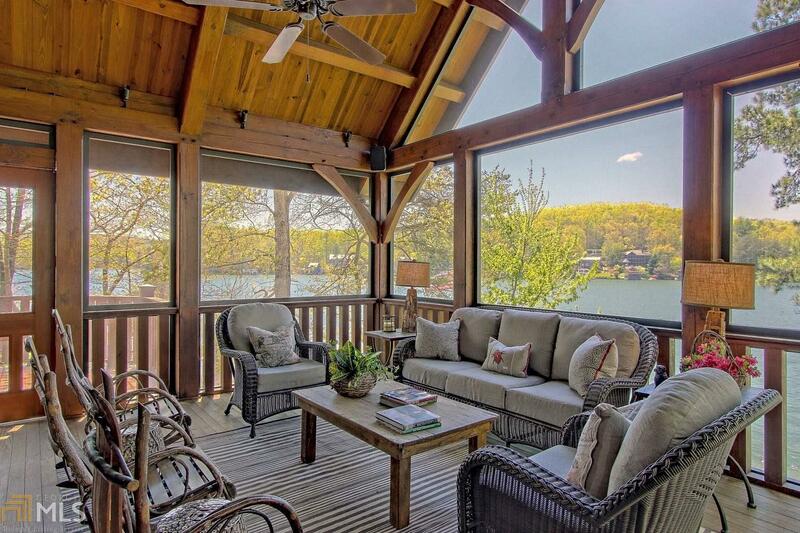 The vaulted lakeside screened porch offers peaceful sunset views and a dining area with built-in grill and fireplace. Features include a private main floor owner's suite and main floor guest suite, 2 car garage, terrace level family room with billiards and bar, a spacious terrace bedroom and family suite, both with private baths, lakeside fire pit and 2-story boathouse with views of Billy Goat Island and the July 4th fireworks show. 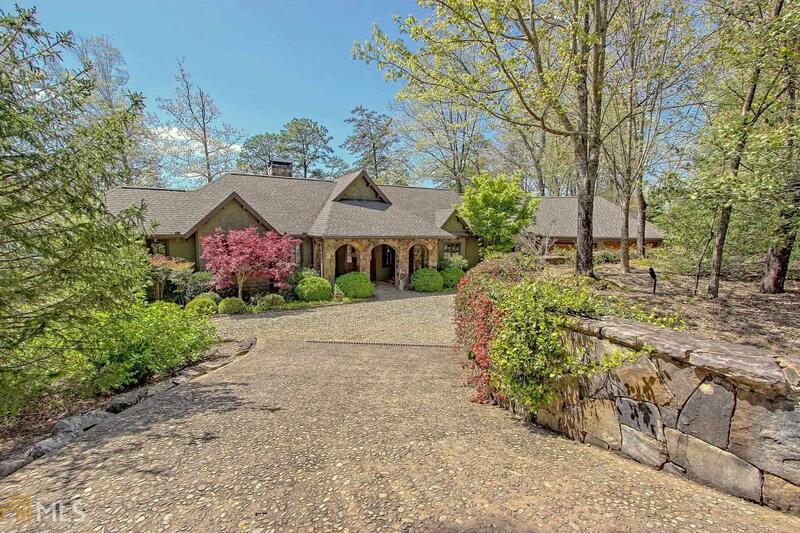 Directions: 76 West To Left On Charlie Mountain Rd. 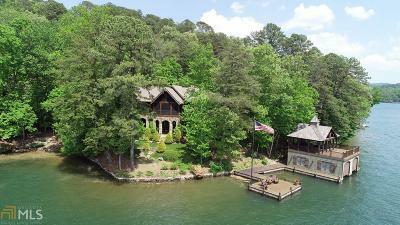 At Stop Sign Turn Right On To Bridge Creek, Turn Right On To Murray Cove To 4334 On Left.